In fact, this may be the first time you have heard of randomized double-blind placebo-controlled IGF-1 clinical studies that can measure the effectiveness of human growth hormone therapies. This is because only 8 brands have had these important IGF-1 clinical studies. The others would probably prefer you not know that such clinical studies exist! 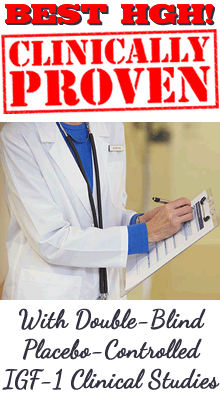 Don't be fooled by all the so-called "HGH product review" sites. Such sites are owned by the same companies who sell the product they rate as best, or by their distributors. 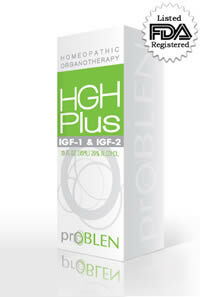 If you want the best product please know this: Our ProBLEN HGH formula showed the highest increase of human growth hormone in the bodies of test patients that has ever been accomplished with a non-prescription product, and that should be most important for those wanting to receive optimum benefits and receive them safely. QUALITY = EFFECTIVENESS! 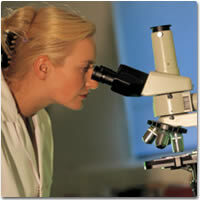 We have been at the forefront of anti-aging product development for the past 19 years. Our hormonal products contain the specific hormone in safe homeopathic form and they are listed as an active ingredient on the label. Our products are U.S. made with the highest quality ingredients in an FDA approved lab. The FDA has issued our products their own NDC number. They are sold as legal over-the-counter products in the United States without a prescription. may not be FDA registered or 100% made in the U.S.A.
their ingredients and manufacturing processes cannot compare with ours. you cannot call and speak with an experienced medical professional when you have questions like you can here.